Chronic Achilles Tendon Disorders: Tendinopathy and Chronic Rupture. Maffulli N1, Via AG2, Oliva F2. Tendinopathy of the Achilles tendon involves clinical conditions in and around the tendon and it is the result of a failure of a chronic healing response. Although several conservative therapeutic options have been proposed, few of them are supported by randomized controlled trials. The management is primarily conservative and many patients respond well to conservative measures. If clinical conditions do not improve after 6 months of conservative management, surgery is recommended. The management of chronic ruptures is different from that of acute ruptures. The optimal surgical procedure is still debated. In this article chronic Achilles tendon disorders are debated and evidence-based medicine treatment strategies are discussed. Update on the efficacy of extracorporeal shockwave treatment for myofascial pain syndrome and fibromyalgia. Ramon S1, Gleitz M2, Hernandez L3, Romero LD3. 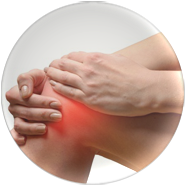 Chronic muscle pain syndrome is one of the main causes of musculoskeletal pathologies requiring treatment. Many terms have been used in the past to describe painful muscular syndromes in the absence of evident local nociception such as myogelosis, muscle hardening, myalgia, muscular rheumatism, fibrositis or myofascial trigger point with or without referred pain. If it persists over six months or more, it often becomes therapy resistant and frequently results in chronic generalized pain, characterized by a high degree of subjective suffering. Myofascial pain syndrome (MPS) is defined as a series of sensory, motor, and autonomic symptoms caused by a stiffness of the muscle, caused by hyperirritable nodules in musculoskeletal fibers, known as myofascial trigger points (MTP), and fascial constrictions. Fibromyalgia (FM) is a chronic condition that involves both central and peripheral sensitization and for which no curative treatment is available at the present time. Fibromyalgia shares some of the features of MPS, such as hyperirritability. Many treatments options have been described for muscle pain syndrome, with differing evidence of efficacy. Extracorporeal Shockwave Treatment (ESWT) offers a new and promising treatment for muscular disorders. We will review the existing bibliography on the evidence of the efficacy of ESWT for MPS, paying particular attention to MTP (Myofascial Trigger Point) and Fibromyalgia (FM). Copyright © 2015 IJS Publishing Group Limited. Published by Elsevier Ltd. All rights reserved. Effectiveness of extracorporeal shockwave therapy in three major tendon diseases. Carulli C1, Tonelli F, Innocenti M, Gambardella B, Muncibì F, Innocenti M.
Extracorporeal shockwave therapy is a conservative treatment for several painful musculoskeletal disorders. The aim of the study was the assessment of the relief from pain by the shockwave therapy in a population of consecutive patients affected by specific pathologies. A group of consecutive patients were studied and treated. They were affected by calcific tendonitis of the shoulder (129 patients), chronic Achilles tendinopathy (102 patients), and lateral epicondylitis of the elbow (80 subjects). Each patient had 3 applications with a monthly interval, and was followed up at 1, 6, and 12 months after treatment. Results were evaluated by the numeric rating scale (NRS) in all cases, the Constant Murley Score for the assessment of the shoulder function, the American Orthopaedic Foot and Ankle Society Score for subjects affected by chronic Achilles tendinopathy, and the Oxford Elbow Score for those affected by a lateral epicondylitis of the elbow. One year after treatment, the results were considered satisfactory with an almost complete resolution of symptoms. There were statistically significant results at the 12-month follow-ups regarding the mean NRS score (from 6.25 to 0.2), the Constant Murley Score (from 66.7 to 79.4), the Oxford Elbow Score (from 28 to 46), and the AOFAS (from 71 to 86). Extracorporeal shockwave therapy may be considered a safe, economic, and effective treatment for several chronic musculoskeletal disorders, allowing satisfactory pain relief and improvement of function ability. Phys Ther Sport. 2013 Aug;14(3):163-7. doi: 10.1016/j.ptsp.2012.07.002. Epub 2012 Nov 4. High volume image guided injections for the management of chronic tendinopathy of the main body of the Achilles tendon. Maffulli N1, Spiezia F, Longo UG, Denaro V, Maffulli GD. Several substances are routinely injected in and around tendons. 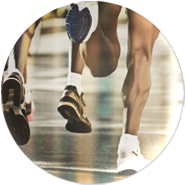 The present study evaluated the long term effects of high volume image guided injection (HVIGI) of normal saline, local anaesthetic and aprotinin in athletic patients with resistant tendinopathy of the main body of the Achilles tendon. The study included a series of 94 athletes (69 men and 25 women; average age 37.5 years, range 22-63) with ultrasound confirmed tendinopathy of the main body of the Achilles tendon. All the patients had not improved after at least three months of conservative management. Patients were injected with 10 mL of 0.5% Bupivacaine Hydrochloride, 25 mg aprotinin, and up to 40 mL of injectable normal saline. We prospectively administered the Victorian Institute of Sport Assessment-Achilles tendon (VISA-A) to assess the short- and long-term pain and functional improvement. At baseline (n = 94), the VISA-A score was 41.7 ± 23.2 (range 11-60), and had improved to 74.6 ± 21.4 (range 71-100) by 12 months (n = 87) (p = 0.003), with no significant difference between sexes. HVIGI with aprotinin significantly reduces pain and improves function in patients with chronic Achilles tendinopathy in the short- and long-term follow up. J Sci Med Sport. 2010 May;13(3):295-8. doi: 10.1016/j.jsams.2009.09.007. Epub 2009 Nov 27. The short-term effects of high volume image guided injections in resistant non-insertional Achilles tendinopathy. Humphrey J1, Chan O, Crisp T, Padhiar N, Morrissey D, Twycross-Lewis R, King J, Maffulli N.
We investigated neovascularisation, tendon thickness and clinical function in chronic resistant Achilles tendinopathy following high volume image guided injections (HVIGI). The subjects involved 11 athletes (mean age 43.5 years+/-11.6, range 22-59) with resistant tendinopathy of the main body of the Achilles tendon for a mean of 51.4 months (+/-55.56, range 4-144) who failed to improve with an eccentric loading program (mean 11.8 months+/-2.6, range 8-16). The morphological features, neovascularisation and maximal tendon thickness were assessed with power Doppler ultrasound. Clinical function was measured with the Victorian Institute of Sports Assessment-Achilles tendon (VISA-A) questionnaire. All the tendinopathic Achilles tendons were injected with 10 mL of 0.5% bupivacaine hydrochloride, 25 mg of hydrocortisone acetate, and 40 mL of 0.9% NaCl saline solution under real time ultrasound guidance. All outcome measures were recorded at baseline and after a short-term follow-up (mean 2.9 weeks, range 2-4). The results showed a statistically significant difference between baseline and 3-week follow-up in all the outcome measures afterHVIGI. The grade of neovascularisation reduced (3-1.1, p=0.003), the maximal tendon diameter decreased (8.7-7.6 mm, p<0.001), and the VISA-A scores improved (46.3-84.1, p<0.001). In conclusion, HVIGI for resistant tendinopathy of the main body of the Achilles tendon is effective to improve symptoms, reduce neovascularisation, and decrease maximal tendon thickness at short-term follow-up. 2009 Sports Medicine Australia. Published by Elsevier Ltd. All rights reserved. Disabil Rehabil. 2008;30(20-22):1697-708. doi: 10.1080/09638280701788225. High volume image guided injections in chronic Achilles tendinopathy. Chan O1, O’Dowd D, Padhiar N, Morrissey D, King J, Jalan R, Maffulli N, Crisp T.
To determine the effectiveness of high volume image guided injections (HVIGI) for chronic Achilles tendinopathy. Injury. 2014 Nov;45(11):1782-90. doi: 10.1016/j.injury.2014.06.022. Epub 2014 Jul 7. Accelerated rehabilitation following Achilles tendon repair after acute rupture – Development of an evidence-based treatment protocol. Brumann M1, Baumbach SF1, Mutschler W1, Polzer H2. The acute rupture of the Achilles tendon is a protracted injury. Surgery is only the beginning of a long rehabilitation period. 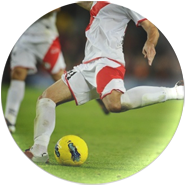 Therefore, the rehabilitation protocol is an integral aspect to restore the pre-injury activity level. Despite several trials available comparing different treatment regimes, there is still no consensus regarding the optimal protocol. Consequently, the aim of our study was to systematically search the evidence available and define a precise rehabilitation programme after operative repair of acute Achilles tendon rupture based on the trials with the highest level of evidence. We performed a systematic literature search in Medline, Embase and Cochrane library. We identified twelve randomized controlled trials comparing different treatment regimes after operative repair of the Achilles tendon. Five trials compared full to non weight bearing, all applying immobilization in equinus. Immediate full weight bearing led to significant higher patient satisfaction, earlier ambulation and return to pre-injury activity. Four trials compared early ankle mobilization to immobilization. All trials found mobilization to be superior as it shortens time toreturn to work and sports significantly. Three trials compared the combination of full weight bearing and early ankle mobilization to immobilization. This combination was most beneficial. Patients showed significantly higher satisfaction, less use of rehabilitation resources, earlier return to pre-injury activities and further demonstrated significantly increased calf muscle strength, reduced atrophy and tendon elongation. No study found an increased rerupture rate for the more progressive treatment. In conclusion, the rehabilitation protocol after Achilles tendon repair should allow immediate full weight bearing. After the second postoperative week controlled ankle mobilization by free plantar flexion and limited dorsiflexion at 0° should be applied. Objective: To compare the outcomes for patients with chronic noninsertional Achilles tendinopathy following extracorporeal shockwave therapy (ESWT) and high-volume image-guided injection (HVIGI). Setting: Hospital-based Sports Medicine Outpatient Clinic. Patients: Sixty-three consecutive patients with chronic noninsertional Achilles tendinopathy, treated with ESWT (n = 22) or HVIGI (n = 41), with minimum 3-month follow-up. Mean age was 51.2 years, and mean duration of symptoms was 27.8 months. Interventions: Patients received either 3 sessions of ESWT (1 session per week) or a single ultrasound-guided HVIGI (10 mL of 1% lidocaine and 40 mLs of sterile saline). All patients received standardized aftercare, including continuation of a structured home exercise program of flexibility and eccentric strengthening exercises. Main Outcome Measures: Zero to 10 visual analog scale (VAS) for self-reported “average pain” and “average stiffness” values. In addition, Victoria Institute of Sport—Achilles questionnaire, (VISA-A), and Manchester-Oxford Foot Questionnaire (MOXFQ). Results: This study demonstrated statistically significant improvements in self-reported measures of pain and stiffness following either procedure. At 3 months, VAS (pain) was improved from 6.74 ± 1.31 to 3.57 ± 2.37 (P < 0.001) following HVIGI and from 6.57 ± 1.61 to 4.35 ± 2.55 (P = 0.002) following ESWT. At 3 months, VISA-A improved from 35% ± 17% to 51% ± 22% (P < 0.001) following HVIGI and from 34% ± 15% to 49% ± 15% (P < 0.001) following ESWT. Statistically significant improvements were only recorded at 6 weeks for ESWT and at 3 months for HVIGI using MOXFQ. No statistically significant differences were seen between the groups at any period studied. Conclusions: Patients improved to statistically significant extent following either a HVIGI or ESWT procedure, with no significant differences seen between the groups. The small sample sizes in this pragmatic study are noted, which limit interpretation, and larger more robust studies are required to investigate this further. Clinical Relevance: This pragmatic prospective cohort study demonstrates improvements following either ESWT or HVIGI procedures, with no significant differences seen between the groups.